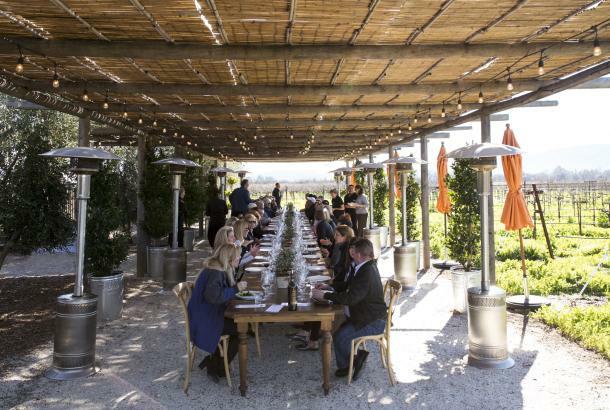 Of all the towns that dot the Napa Valley, Calistoga has the most laid-back vibe. It’s at the northernmost end of the valley, the farthest from the hustle of the Bay Area. It’s got a wealth of good food and wine, so there’s no need to travel far. But probably the biggest reason for the town’s reputation for relaxation is the centuries-old geothermal activity that makes it the valley’s spa headquarters. The native Wappo people were the first to discover this area’s natural hot springs and use them for healing. They called the place Nilektsonoma (“Chicken Hawk Place”) and built several villages here before the Mexican government divided it into rancheros in the mid-1800s. Soon after that, entrepreneur-publisher Samuel Brannan purchased more than 2,000 acres and built a hot springs resort around Mt. Lincoln on the site of what is now Indian Springs Resort. It’s been a spa destination ever since, and today the town is filled with resorts from basic to luxurious, many of them offering the town’s famous mud treatments. If you’d like to see what Calistoga looked like in its previous incarnation, the Sharpsteen Museum has a large diorama depicting nineteenth-century life, and one of the original Brannan cottages remains open for visitors. Stay. 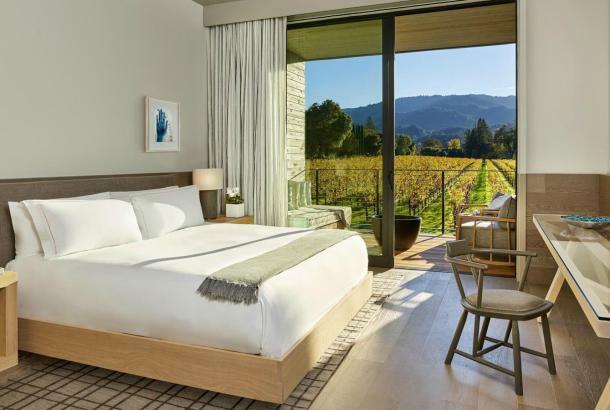 Calistoga’s list of hotels is long and eclectic, from fancy resorts like Solage and Calistoga Ranch to basic motel-type accommodations for the more budget-minded. Several favorites include Indian Springs Resort, Mount View Hotel, Brannan Cottage Inn, Cottage Grove Inn, and Dr. Wilkinsons Hot Springs. Eat. Likewise, you can dine here at every point on the culinary spectrum. 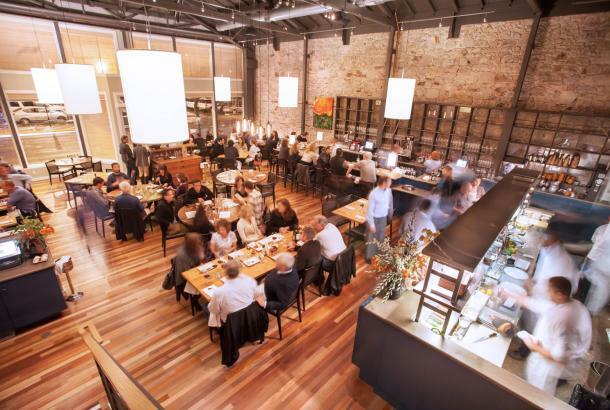 While Solage’s SolBar has a Michelin Star, there are many less fancy but excellent venues. Consider Calistoga Kitchen, All Seasons Bistro, Evangeline, and Sam’s Social Club. Taste. 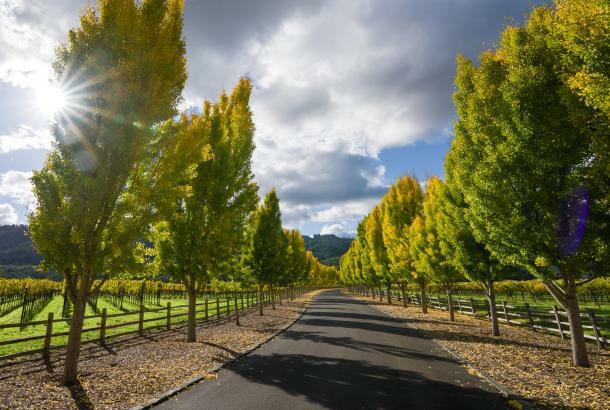 Calistoga is home to some of the most prestigious wineries in the Napa Valley. Chateau Montelena Winery, just north of town, is famous for winning the white wine category of the historic “Judgment of Paris” wine competition in 1976. (Not familiar with this event? Check out the film Bottle Shock.) 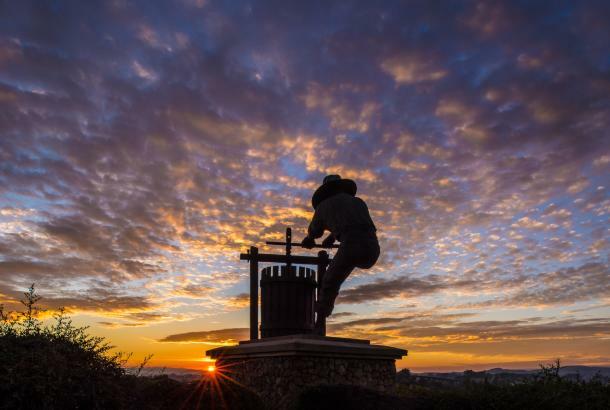 Clos Pegase, Jericho Canyon, Tamber Bey and Up Valley Vintners are also great wineries to visit. If you don’t want to venture that far afield, there are at least 15 local wineries with tasting rooms right downtown, so you can do a wine crawl along Lincoln Avenue without even getting into a car. Play. 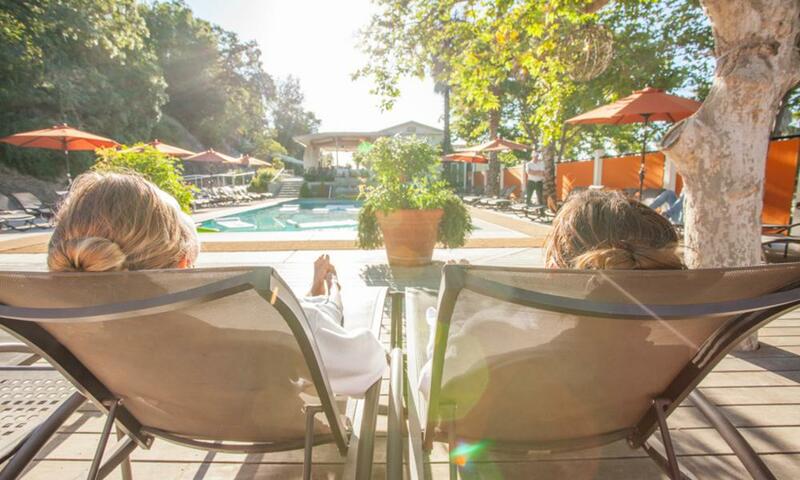 A visit to Calistoga would hardly be complete without a visit to one of its hot-springs or mud-treatment spas. For outdoor enthusiasts, there’s hiking up the Oat Mine Hill Trail or cycling around town on a colorful cruiser or on a road bike for longer treks along Highway 29 or the Silverado Trail. Traveling with kids? 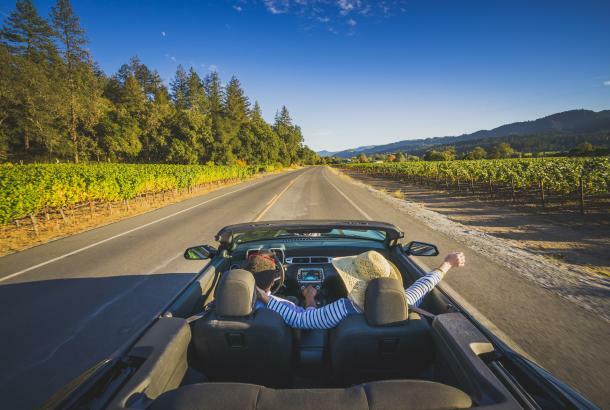 Try Old Faithful Geyser, the “medieval” Castello di Amorosa, a gondola ride up to Sterling Vineyards (they have kids’ activities and incredible views from the tasting room at the top), or the Safari West wildlife preserve (you can also have dinner or even stay overnight!). If you’re a history-lover, check out the Sharpsteen Museum and the Bale Grist Mill. And if you love to shop, you can happily spend several hours wandering the many antique and thrift shops along Lincoln Avenue. After all that activity, there’s only one thing left to do: Get a massage at any one of Calistoga’s spa venues. You’ve earned it!